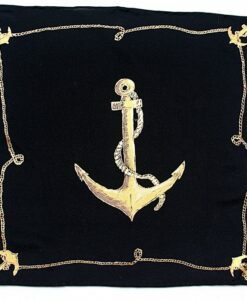 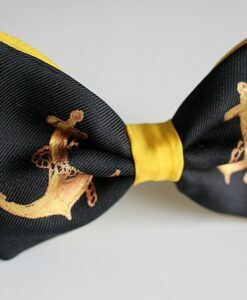 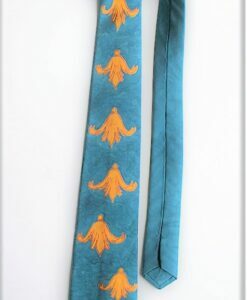 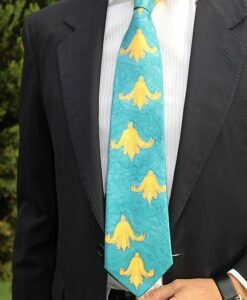 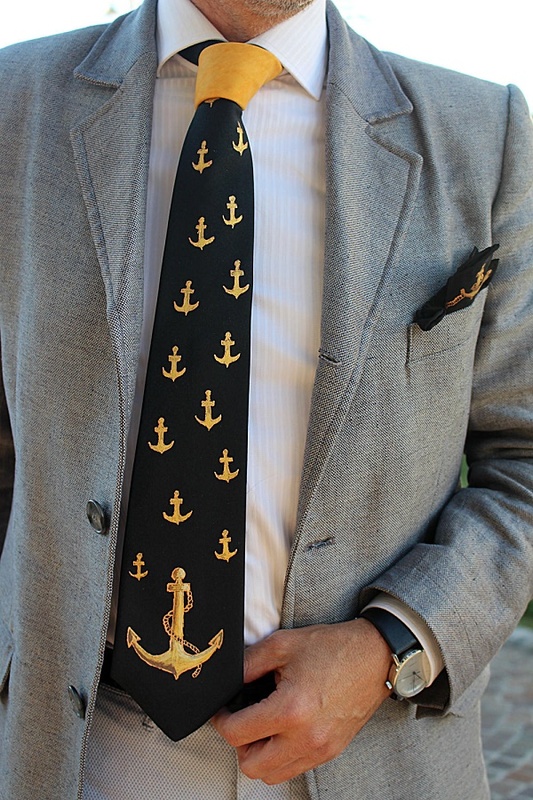 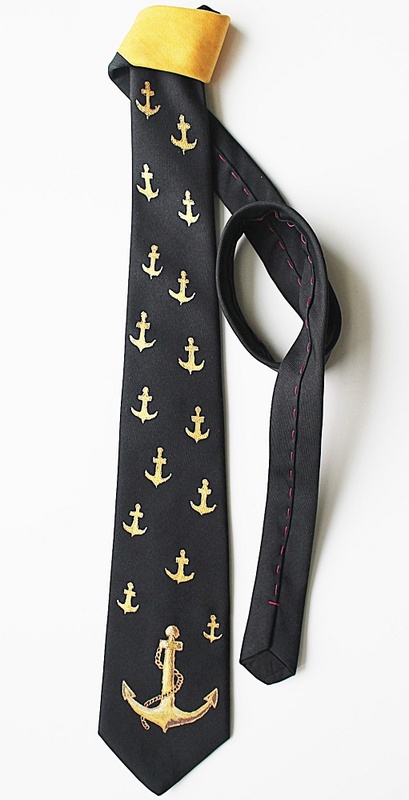 Hand-painted black Anchor tie in fine silk fabric. 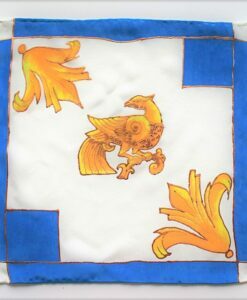 Designed and made in Italy. 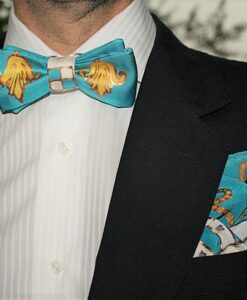 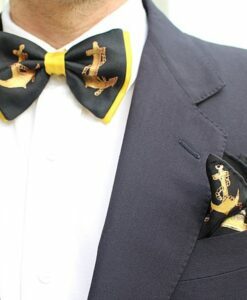 Complete the look with the black Anchor pocket square. 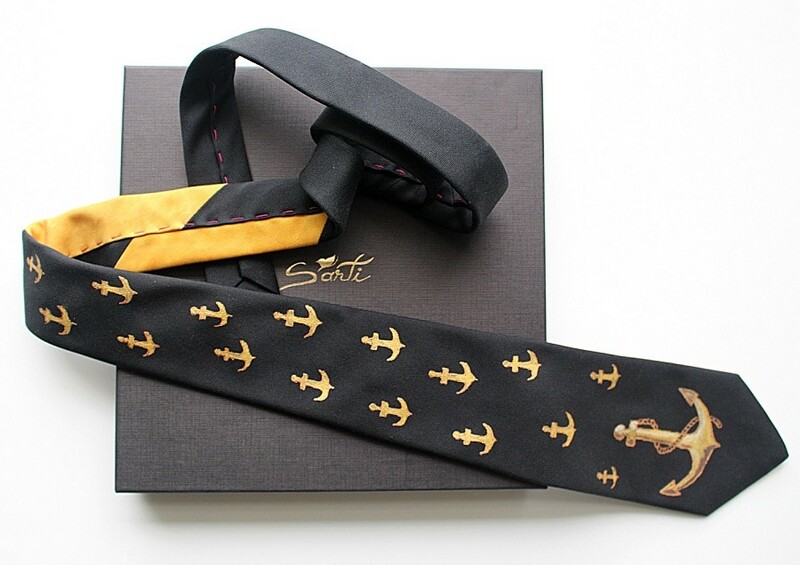 Black Anchor tie in fine black hand-painted silk fabric with anchors pattern in yellow and gold colours by Sarti, a design strictly bound to the local marine tradition. 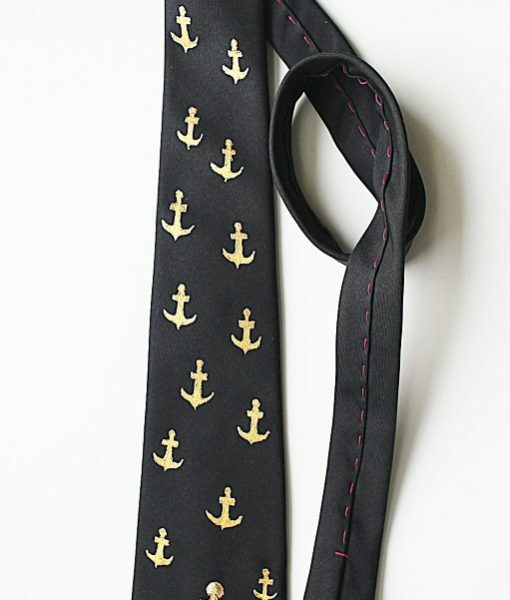 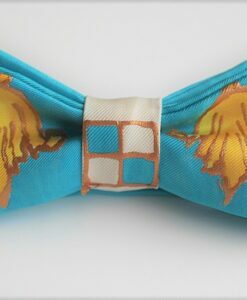 The elegant Anchor tie is the perfect men’s original accessory for finishing off a formal wear. 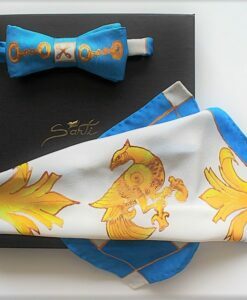 The accessory is proposed also as a gift idea. 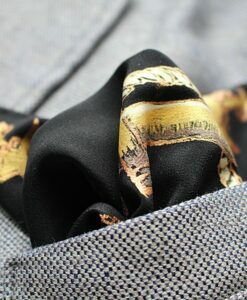 Dimensions: total length 145 x 8.50 cm / 57.1″ Material: 100% twill silk; hand wash in cold water.